ShopJoy's shipping is very simple. All purchases are delivered for free to any Australian address with no exception. There is no minimum order or any other condition. Once your payment is confirmed, your goods will be dispatched (leave warehouse) within 1 working day. Shipments from overseas go through an agent who finds the cheapest courier and ensures compliance with the originating country's regulations - at a cost of a little delay. Please consult the tables below to work out when your order will arrive. China has relatively strict outgoing shipment regulations, hence the additional shipping agent handling time. Every now and then the Chinese customs randomly inspects outgoing packages. This may delay your shipment by up to a week. Australia Post restricts goods with battery to land delivery only. Smartphones posted from Australia may experience a slightly longer transit time. There may be some delay during sales periods or festive seasons. Chinese New Year or Dragon Boat Festival may affect goods coming from overseas. Soon after your order is received by Australia Post or a courier company, we will email you shipping notification containing your parcel's tracking number. 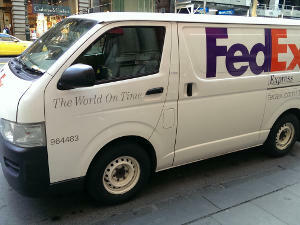 The email will also direct you to the right page on the delivery company's website for tracking your parcel's journey. Note for remote areas: If your address is considered 'remote' by a courier company, it will hand your parcel over to Australia Post for the last portion of the journey. 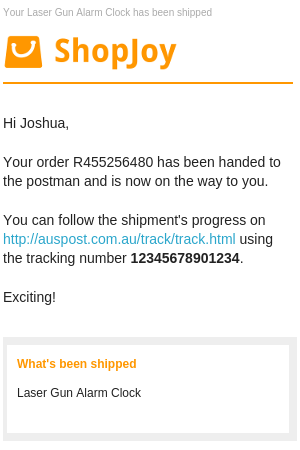 While being delivered by Australia Post the parcel will show no progress on the courier company's tracking page. This is normal. Please don't be alarmed. Depending on your order, you may receive a phone call from the courier confirming your availability to receive your parcel.